Finding love is something that we all take for granted, and the truth is that if you do manage to get married to someone you love over the course of your life, you’re very lucky. The story of Nina Marino is both heartwrenching and incredibly warming – so we recommend reading this with some tissues nearby in case you start bawling. At the age of 19, young Nina was diagnosed with undifferentiated sarcoma. To those who don’t know, this is a pretty serious type of cancer that most people don’t recover from because it spreads so quickly. When the young woman was diagnosed, she knew she only had a short while to live. Never letting the disease get the better of her, Nina always kept a positive attitude while she fought the disease from her hospital bed. By the time the disease had spread to her only lung, Nina decided to write up her bucket list. One of the first things she wanted to do was get married to her long-time boyfriend and best friend, Joey Williams. 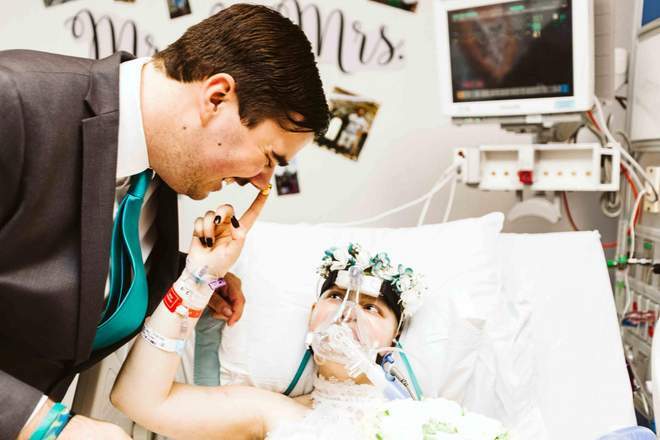 After she posed the question to him, he agreed and their parents quickly got together to set up a makeshift ceremony over her hospital bed. While the machines she was connected to limited her ability to move at all, they dressed her up in a beautiful wedding gown, had the groom wear a lovely suit, hung photos of the two around the room and even set up a makeshift arch for the two get married under. In a very emotional ceremony, the two were married together and expressed their love for one another in front of friends and family. However, the wedding was not to last and 2 days, 15 hours, and 27 minutes later, Nina sadly passed away. 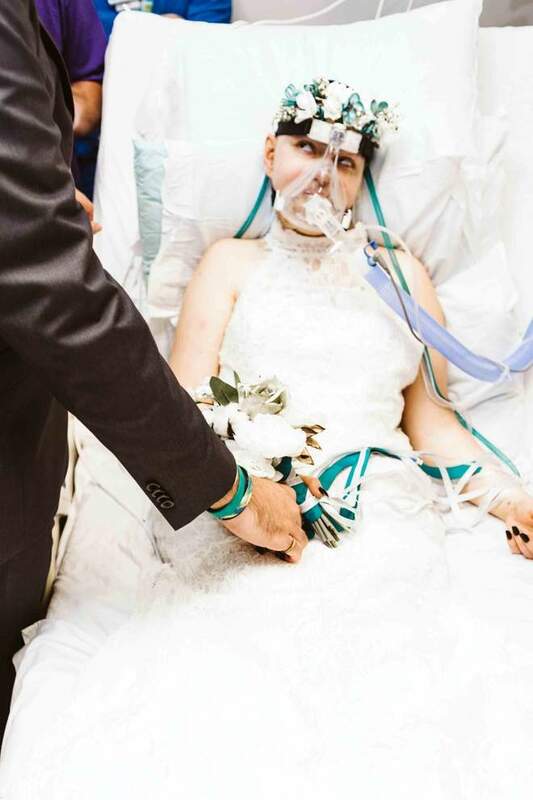 The bride was buried in her wedding dress. 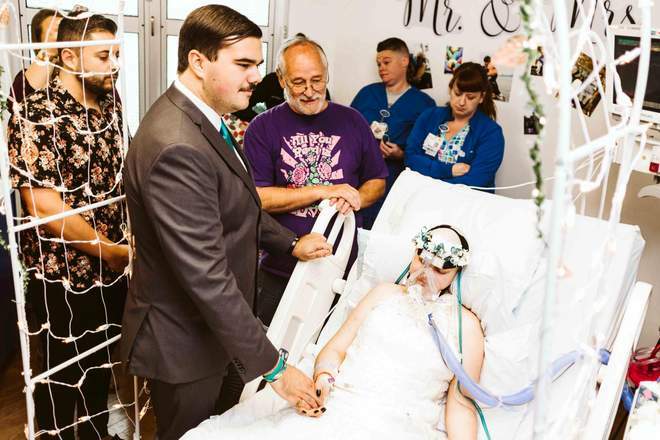 While her husband admits that he was very sad at her passing, he says he was glad that they had the chance to get married and make one of her dreams come true.